"Compelling...A masterly feat...A magnificent, sweeping, authoritative, warm yet wry history." In this fascinating and intimate portrait of the Stuarts, author Allan Massie takes us deep into one of history's bloodiest and most tumultuous reigns. Exploring the family's lineage from the first Stuart king to the last, The Royal Stuarts is a panoramic history of the family that acted as a major player in the Scottish Wars of Independence, the Union of the Crowns, the English Civil War, the Restoration, and more. Drawing on the accounts of historians past and present, novels, and plays, this is the complete story of the Stuart family, documenting their path from the salt marshes of Brittany to the thrones of Scotland and England and eventually to exile. 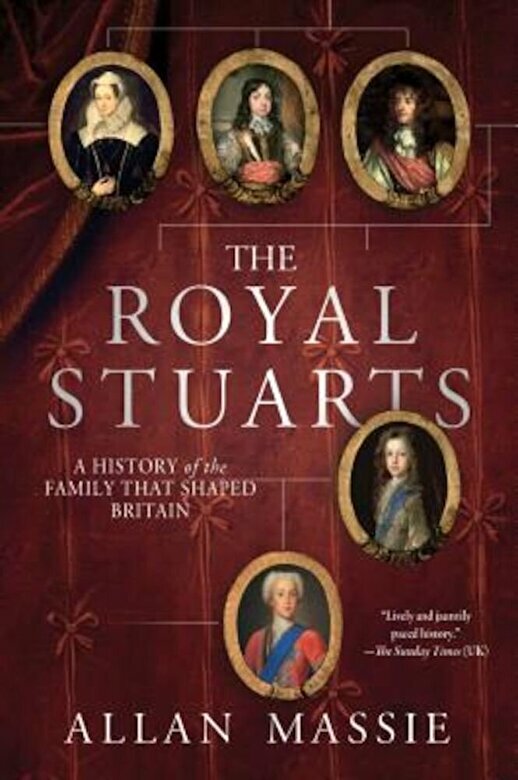 The Royal Stuarts brings to life figures like Mary, Queens of Scots, Charles I, and Bonnie Prince Charlie, uncovering a family of strong affections and fierce rivalries. Told with panache, Allan Massie's The Royal Stuarts is the gripping true story of backstabbing, betrayal, and ambition gone awry.